Here’s a breather. In case you felt like as though you’re suffocating from the onslaught of Bangkok posts. Back in 2009, we stopped by this comparatively spacious ‘shack’ on Old Klang Road; right beside the overhead NPE due to the extremely (no kidding) admirable turnout of a dinner crowd. I daresay; hundreds of them and more standing around waiting like vultures for an empty table. This place is named Ah Wang Bak Kut Teh; but albeit the immense popularity, their signature dish is actually the steamed fish head in three options of sauces. The experience was good, and we returned for another visit two days apart. And then, I completely dropped the urge to write about it. Complacent, or maybe procrastination. And the fact that they’re already swarmed/overwhelmed by the ridiculous number of hungry patrons, it’s not even funny. Notice the plump guy in white T-shirt seated and calmly orchestrating the whole ordeal? He’s the BOSS. Presumably, since he’s the one barking orders and coordinating everything from the comfort of his seat. Fatty Bak Kut Teh. Hmm, I see some relevance. Pardon me as I’m in a rather perplexed state now. Losing one’s voice isn’t something to be proud of, yet I can’t help but felt the guilt creeping in without going scavenging for food and bringing the already cob-webbed gear (my D7000) along. 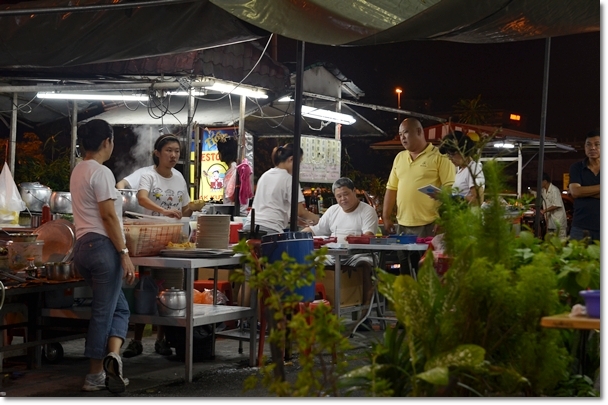 Here’s a brief piece on Fatty Bak Kut Teh on Old Klang Road …..
And so, instead of going back to Ah Wang (which was predictably packed this evening), we ventured over to Fatty Bak Kut Teh & Fish Head further up Old Klang Road; passing Scott’s Garden and towards Midvalley’s direction. About 200 metres apart, and you can see the crowd spilling over to the streets happily lapping up their servings of claypot bak kut teh and steaming hot fish heads steamed in a variety of manners. Yet, the flesh reeked of a mild ‘muddy/earthy’ taste (an attribute of some freshwater fishes), and this took a few points off the record book. The sauce can be a tad salty if sipped like it is, so it’s best to complement the fish with, or poured atop your rice instead of scooping spoonfuls of the soy sauce-based broth. 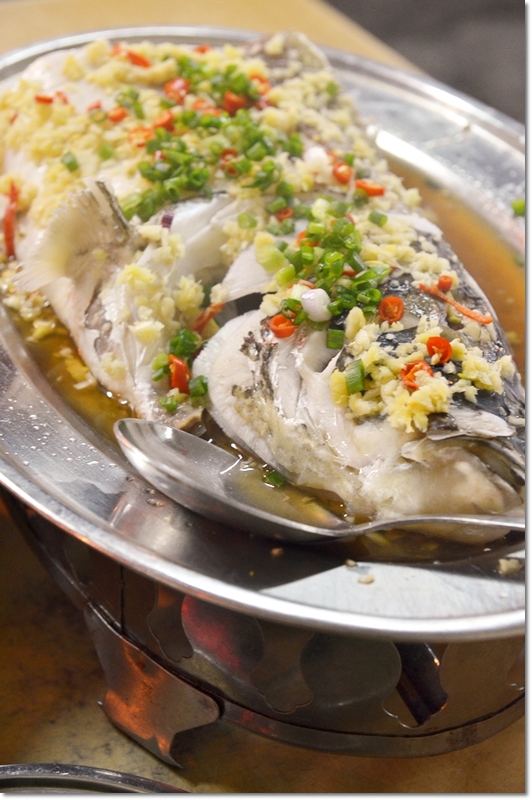 The portion can be daunting; the fish head arriving in a serving enough to be shared by at least 4 pax. And we specifically requested for the SMALLEST possible. Since there were only 3 of us, and we wanted to try their other dishes. So, be warned. They open from 6pm until 5am. Yes, the twilight hours! A good place to sober up after the mindless binge-drinking over at Scott’s Garden? Fair enough. For me, Bak Kut Teh from Klang‘s still the best, with good options in PJ including Ah Sang in Sungei Way, and Puchong’s Yap Chuan (for the dry BKT). Jalan Ipoh’s got a lot of options too, yet the one beside Dynasty Hotel left a terrible impression on my mind. Directions : Coming from NPE/Puchong’s direction towards KL city or Midvalley, you will pass by the turning to Jalan Kuchai Lama on your RIGHT. Then as you go under the NPE overhead pass, you will see Scott’s Garden (TESCO) on your LEFT. Fatty Gan is almost immediately after Scott’s Garden on the LEFT. Same row as AmBank on Old Klang Road. Agree with you about Ban Lee Bak Kut Teh. There are not the same since they expanded and now caters for out-towners from the hotel next door. 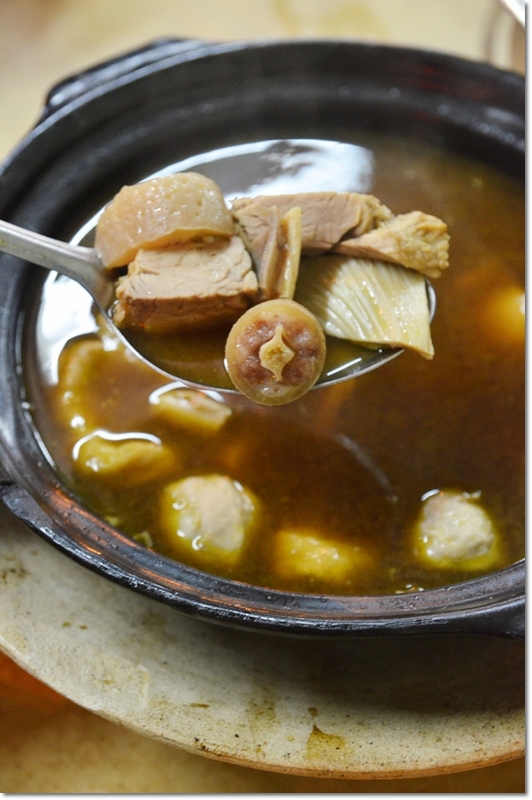 Give Sin Kee Klang Bak Kut Teh a go in Jalan Gombak if you have not done so already. 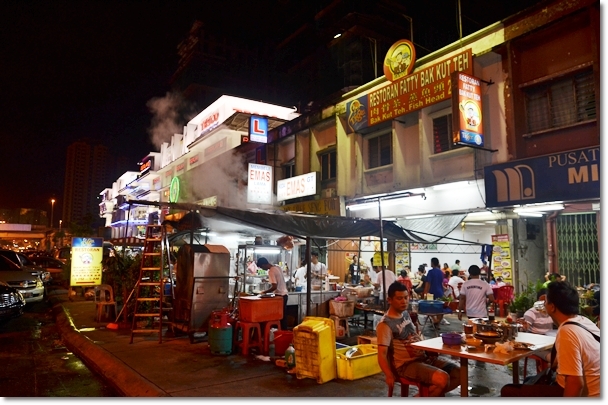 p/s Bak Kut Teh in Old Klang Road is also no longer the same since the road was widen. Ah, a kindred spirit. 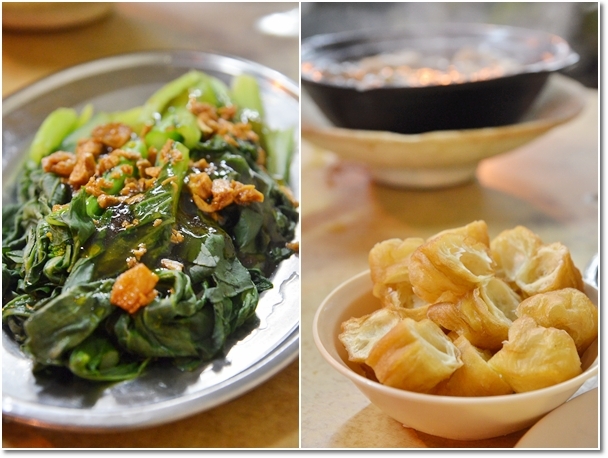 I share the same love of bak kut teh as you do, and have in fact tried all the other BKT places listed in your blog – except Fatty here! I’m going to try that this evening! Not so good experience though… do share yours. I still prefer the ones in Klang.